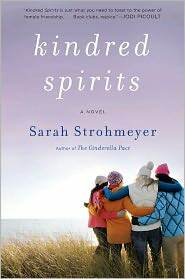 I absolutely loved Kindred Spirits by Sarah Strohmeyer. I’ve been a Strohmeyer fan since 2001 and this book, published in 2011, did not disappoint. In fact, it’s my favorite non-Bubbles Strohmeyer book so far. Kindred Spirits is about four friends, Lynne, Carol, Mary Kay, and Beth, who met during a school board meeting and formed the Ladies Society for the Conservation of Martinis. These four friends become each other’s family as they raise their children together and endure the hardships, as well as the joys, of life together. When Lynne dies suddenly, she leaves behind a huge secret and tasks her friends to fulfill a mission for her she could never accomplish in life. Lynne’s secret is something that hits particularly close to home for me because of my profession. There were so many truths in this book regarding the secret Lynne’s keeps I can’t help but think that Strohmeyer really did her homework. Every chapter is interspersed with martini recipes and it made this teetotaler almost wish she was a drinker. If you are a drinker and like martini’s I suggest trying out some of these recipes to see if they really are as good as they sound. The friendships between these four very different women was so heartwarming. Especially how much they demonstrated their love and loyalty to each other, even in wrong choices, and in this case, Lynne’s death. I think every woman wishes she had a core group of girlfriends who are her soft place to fall and friends she can go to for marriage and parenting advice; friends who never judge you and love you unconditionally. This book is well-written and heartwarming. I had a hard time putting it down and only did so when I couldn’t keep my eyes open any longer. I found myself crying several times as I had grown quite attached to these characters. I liked it so much I think I’ll recommend it to my book club for a pick for next year. 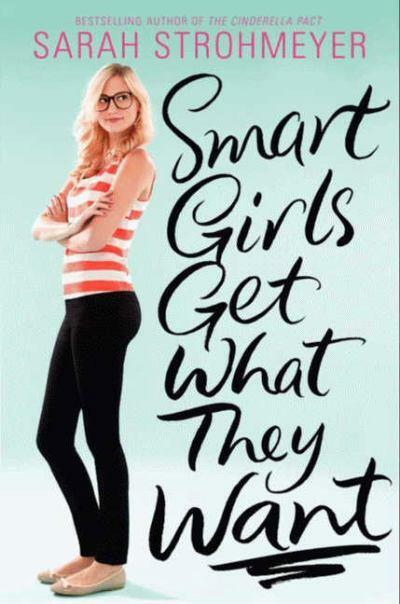 Sarah Strohmeyer’s first novel for teens, Smart Girls Get What They Want, is jolly good fun. I’ve been a fan of Strohmeyer’s ever since I read her first Bubbles novel over a decade ago. It’s been my goal to get my hands on every novel she’s written since. Strohmeyer has an easy writing style that makes all her books just a darn good time. (And on a personal note, she’s an exceptionally nice person). Smart Girls is about Gigi and her two best friends, Bea and Neerja, who are three of the honors students in their high school. These three best friends are so dedicated and focused on good grades and getting into the Ivy League, they forget to have the carefree time that high school is all about. Determined to not let just their academic achievements define their high school years, the three set out to step out of their comfort zones and try something new. Neerja auditions for the school play to get closer to her crush; Bea joins the skiing team despite her attorney parents fear of her getting hurt; and Gigi puts aside her fear of public speaking to run for Student Representative for the School Board. Along the way, Gigi attracts the attention of the cute new boy and a jock she’s known since kindergarten. I found myself identifying with Strohmeyer’s heroine more than I thought I would. I was an AP/honors nerd in high school and so were most of my friends. Only I never dreamed of the Ivy League (too out of reach for a Utah girl) and instead just dreamed of getting a scholarship to a state university. I identified with Gigi feeling invisible to the rest of her classmates who weren’t in her classes and how she was surprised that two popular girls would feel snubbed by Gigi as well. I liked the book’s message of how a girl should never stop being who she is to find someone to like her. Gigi firmly believes that she should never dumb herself down for a boy even when everyone is telling her that boys don’t like smart girls. I’m glad that Gigi stays true to herself while also expanding upon her strengths to improve who she is at her core. I really enjoyed this book and what a good role model for smart girls Gigi and her friends are. This is definitely a book I’ll have my daughter read once she reaches those teen years. This was my reaction after putting down Gone Girl by Gillian Flynn. I felt like Flynn just took me on the wildest roller coaster ride I have ever been on. 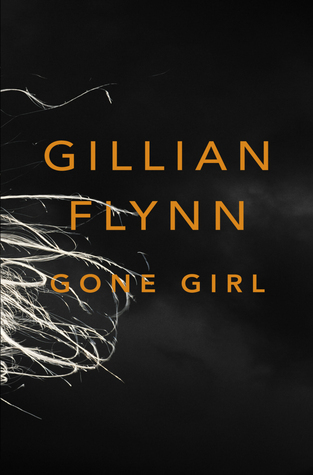 This book is a psychological thriller that keeps you guessing at every turn. A huge fan of true-crime and fictional crime novels/stories, I thought I had this book figured out. Every time I did, I was punched in the face with a new twist. I read this 415 page book over the course of probably only 12 hours, if that. I could not put it down. I didn’t want to sleep because I didn’t want to stop reading it. It was that thoroughly engrossing. This fictional novel begins on Nick and Amy’s five year wedding anniversary. Nick is from Missouri and moves to New York City to become a magazine writer. It is there he meets, falls in love with, and marries Amy. She is a born and bred New York City girl who does not have to work, but does as a writer of magazine quizzes, because her parents are famous children book authors who have made a fortune chronically Amy’s childhood. After two years of marriage, both Nick and Amy lose their writing jobs and move to Nick’s hometown in Missouri to take care of Nick’s dying mother, Alzheimer’s ridden father, and rebuild their lives. The morning of their five year anniversary Amy goes missing and Nick is the number one suspect in her disappearance. This is not your ordinary wife-goes-missing-husband-did-it stories, a la Scott Peterson and Mark Hacking. To say more would be ruining it. If you can’t stand harsh language, this isn’t the book for you because some parts are very brutal. If you can stand dicey language and are looking for a thrill-ride, this is your book. Flynn is a genius story teller and I’m putting the rest of her novels on hold at the library. 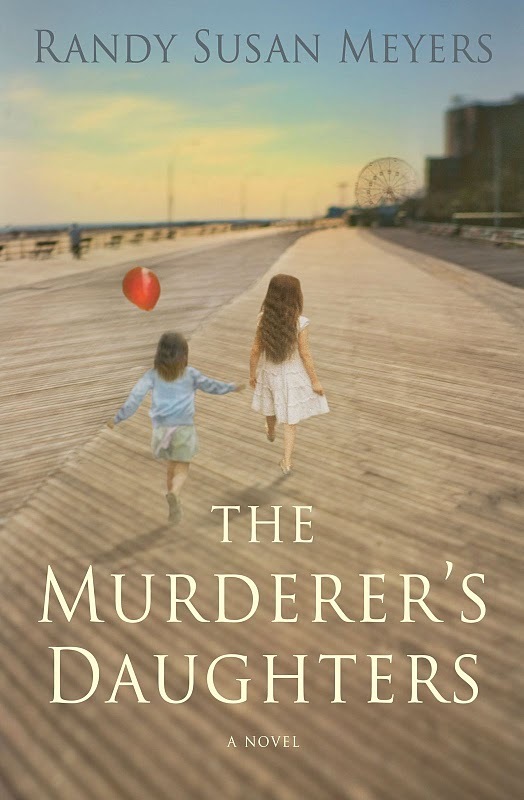 The Murderer’s Daughters by Randy Susan Meyers follows two sisters over four decades of their lives after their father murders their mother. Lulu and Merry are two young girls living in Brooklyn, New York, suffering through their childhood with neglectful and self-involved parents. After their mother kicks their father out of the house, he shows up drunks, kills his wife and attempts to kill Merry and himself. The girls’ father is then sent to prison and they are essentially orphans. At first Lulu and Merry’s maternal grandmother takes them in and cares for them. After her death, their paternal grandmother is too old and frail to care for them and their Aunt refuses to take them in because they are the daughters of her sister’s murderer and the girls are sent to a home for girls (read: orphanage). After a few years the girls are taken in by a foster family and the book follows them through their angsty teenage years through their adulthood. Lulu and Merry have very different reactions to their mother’s murder and their father’s incarceration. Lulu is wracked with guilt and believes she could have somehow prevented her mother’s death if she had not let her father in their apartment that day. Lulu wants nothing to do with their father and instructs her younger sister to lie and say their parents were killed in a car accident. Merry dutifully visits her father in prison every other week with her paternal grandmother for years until their grandmother’s death. This difference in how they individually deal with their situation causes friction between Lulu and Merry despite their deep devotion to each other. A wrench is really thrown into their lives when it looks like their father will be able to make parole after 30 years in prison. I thought this book was exceptionally well written. Neither Lulu nor Merry was perfect and they each had distinct characters and voices. They are individuals who are deeply flawed and deeply affected by their past. Lulu and Merry are relatable and likable, even when you want to shake them for their bad choices or the ways they react to each other. The book was a page turner and thoroughly engrossing. I didn’t want it to end and wanted it to continue to follow Lulu and Merry into their later adulthood and watch their relationship grow and change. Despite the shocking premise of the book, two girls who are orphaned by a vicious act of domestic violence, it is a gentle book about two girls growing into women with a huge tragedy hanging over their heads. It makes the reader empathize with all those real-life children who are abandoned, orphaned, or stigmatized by the sins of their parents. Meyers’ fiction novel is haunting while being aggressively honest. I highly recommend this book. 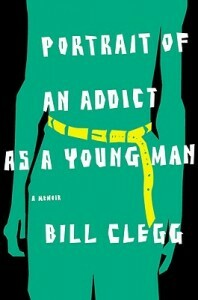 Portrait of an Addict as a Young Man is a memoir written by Bill Clegg about his struggle with crack addiction. It is Clegg’s first novel and is a short, quick read and immediately engaging. In flashbacks, Clegg chronicles his childhood struggles and his over-bearing father. He addresses his casual drug use in high school and college, which leads to a full-blown crack addiction in adulthood. Clegg is a literary agent who lives in New York City. This memoir is about his last crack binge that cost him his savings, his relationship, his apartment, and his job. His family tries to stage an intervention and he runs away, eventually becoming so sick and so weak that he has no choice but to seek treatment. I loved most of this book. It got repetitive after a while as Clegg checks in and out of endless hotels, smokes crack, drinks vodka, calls his dealers, becomes paranoid, and never eats. During his last crack binge he lost 40 pounds and marks his weight loss by how many more holes he has to put in his belt to hold his pants up. The last few chapters are very tedious, and yet it makes me wonder if that is a tool to show how tedious drug addiction can be. The final chapter was amazingly brilliant. This book perfectly illustrates to me just how much drug addiction makes you lose your soul, your values, and your sense of self-preservation. Nothing matters to Clegg except getting high. He doesn’t care what he loses, he only cares about gaining crack. I think this book would help anyone who is dealing with a loved one with an addiction issue and can’t understand how this person is willing to give up everything for the next high.